FOB, EXW, CIF, CFR etc. 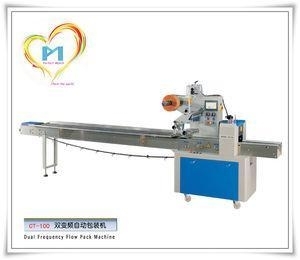 1.The key parts of machine are made of stainless steel, in accordance with food QS and medicine GMP health requirements. 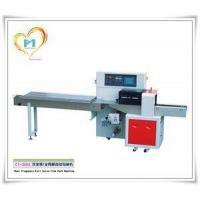 2.Dual variable frequency control, packing goods faster, convenient with superior quality. 3.High sensitive electronic eye tracing system, after setting, the machine is no need to adjust by hand, the cutting position is accuracy, and the seal is firm and nice. 4.Temperature is controlled by PID intelligence independently and steadily which is more suitable to various packaging material. 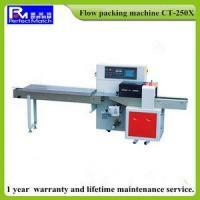 5.Color touch screen display, machine can be turned off by position, fault is self-diagnosed, fault is display clearly. 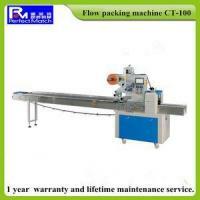 6.Counting automatically, packaging production’s counting is accuracy. 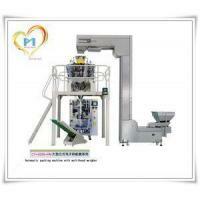 7.Machine’s design and the convey system is simple; the work is more reliable which is more convenience to maintain. 8.The machine can be equipped with mixed gas, nitrogen gas and production date code system according to client’s packaging requirements. Suitable for regular products like chocolate, moon cakes, biscuit, bread, candy, medicine, daily article, hard wares, tray etc. 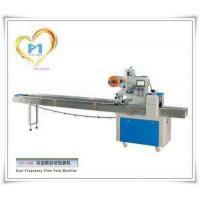 Perfect Match Packing Machine Co., Ltd is a high tech company which specialize in manufacture, sales and service of packing machines.